Choosing the right coffee maker can be a long process but the search for a great machine is over once you have see the Keurig B60 Special Edition Gourmet Single-Cup Home-Brewing System. A great coffee machine is a good investment and the Keurig brand is one of the leading and most trusted names in coffee makers. 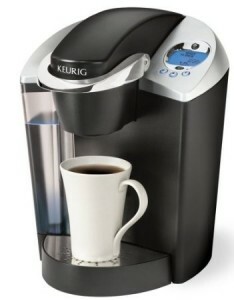 Here you can get the Kuerig B60 for 59% off at just $122.99. Buying a coffee maker is a great investment if you usually buy your daily brew at a coffee house. Those cups of coffee add up, What better way to save money than invest in a great coffee machine which will not only save you money in the end but also make you a much better tasting cup of coffee. Saveology: $25 Boston Market Gift Card just $15! What’s the “Deal” at the Daily Deal Sites?